When a major Catholic conference of American women religious features a keynote speaker who touts the marvelous mental miracle of moving beyond Jesus, wouldn’t you say it was high time for such holier-than-thou harridans to hit the road? If an American nun can no longer support the essential theological element of the spiritual faith that is supposed to sustain her, then it seems pretty darn clear to me that this twisted sister has ceased to be a true believing Christian let alone a Catholic one. Golly gee, Sister dear, if your political penchant for social justice is so strong as to push you to give your nunnery nod to abortion, gay marriage, and sterilization, in direct opposition to the very entity for which you claim allegiance, then maybe it’s time to say good-bye to all the Roman righteousness and seek your pious persona elsewhere. And perhaps in its own apostolic convoluted way, that’s exactly what the Vatican is now telling these American prodigal daughters in Christ. After a two-year investigation into the doctrinal vagaries of the Leadership Conference of Women Religious (LCWR), the largest association of women religious leaders in the United States, the Vatican’s Congregation for the Doctrine of the Faith has ordered the LCWR to reform its statutes, practices, and affiliations. And to make sure the good sisters get back onto the orthodox straight and narrow, the Vatican has appointed Archbishop Peter Sartain of Seattle to oversee the review and revision of the LCWR’s doctrinal mission. You may recall, that the LCWR, along with the NETWORK (yet another liberal distaff setup using Jesus for their social justice agenda), and the Catholic Health Association, eagerly supported ObamaCare, including the federal funding of abortion and sterilization. Needless to say, the US Catholic bishops were beyond furious. Hence, the subsequent assessment by a Church hierarchy that finally found the guts to challenge this institutionalized socialist sisterhood. So, is it lights out for the very liberal LCWR? Well reportedly, the ladies have been ‘stunned’ by the announced outcome of the Vatican’s assessment and are now determining their next maneuver. But whatever political ploy they may come up with, there is another more powerful punch hitting the LCWR with the full force of demographic certainty, and that, put simply, is the aging population of its rank and file. The LCWR is a divinity dinosaur, an aging white-haired matriarchal mammoth lumbering along in the chaotic wake of Vatican II. The trendy modernization of the 1960s that so attracted the baby boomer bunch with its liberation theology and fierce feminism is driving away new novitiates by the droves. The average age of nuns living on the liberal side of the canonical aisle is in the 60s and 70s. But the LCWR isn’t the only national organization of women religious in the United States. The Council of Major Superiors of Women Religious (CMSWR) was founded in the early 1990s by nuns who were dismayed at the rot of radical feminism spreading through America’s religious orders. The member organizations of the CMSWR are traditional groups of women religious. They not only follow more faithfully the teachings of the Catholic Church but they also stress the wearing of religious garb and the importance of shared communal living for their Sisters, two crucial aspects of the religious life that the nuns of the LCWR have tossed aside. Although a much smaller conclave than the LCWR, the CMSWR is on the grow. With the average age nationwide for their Sisters standing at 35, their member orders have been very successful at attracting young, dedicated novitiates. For the most part, these are grim days for Catholic nuns. Convents are closing, nuns are aging and there are relatively few new recruits. But something startling is happening in Nashville, Tenn. The Dominican Sisters of St. Cecilia are seeing a boom in new young sisters: Twenty-seven joined this year and 90 entered over the past five years. The average of new entrants here is 23. 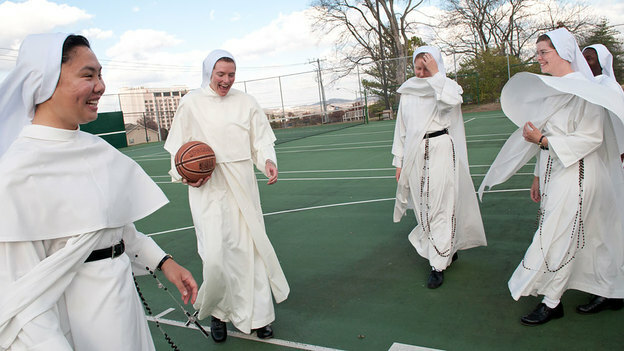 And overall, the average age of the Nashville Dominicans is 36 — four decades younger than the average nun nationwide. Unlike many older sisters in previous generations, who wear street clothes and live alone, the Nashville Dominicans wear traditional habits and adhere to a strict life of prayer, teaching and silence. Van Acker, who’s 23, says her generation is hungry for absolute truth and tradition — ideals they found in the messages of Pope John Paul II. Thirsting for orthodoxy. Yes, the traditional habit is indeed the new radical. And the old has just become the revolutionary. This entry was posted in Religion and Spirituality and tagged Abortion, American Nuns, Catholic Church, CMSWR, Congregation for the Doctrine of the Faith, LCWR, Pope John Paul II, Vatican, Vatican II. Bookmark the permalink. Thanks for your common sense response to this nonsense. 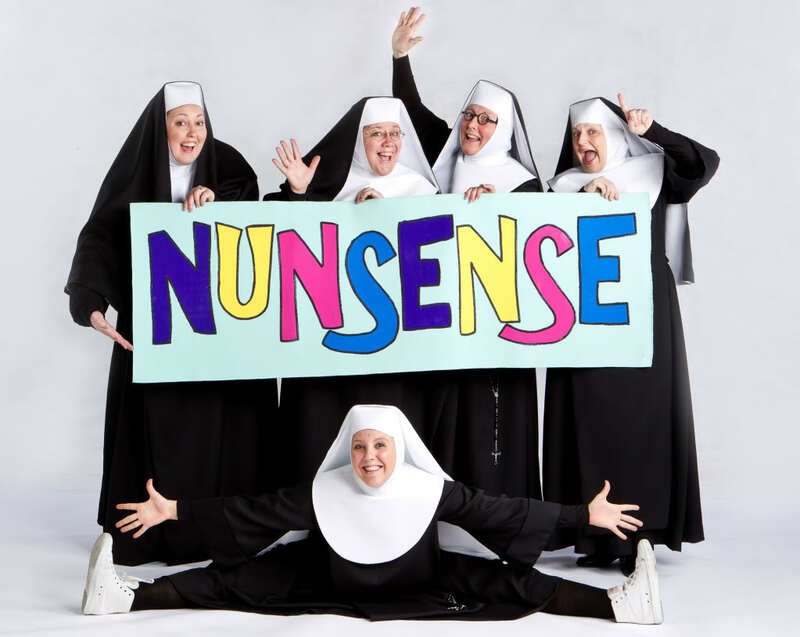 Or, nunsense, to borrow from your post.